Chris Tsangarides, who helmed albums for groups like Judas Priest, Depeche Mode, Tom Jones and Thin Lizzy, died on Sunday (January 7) morning after battling pneumonia and heart failure. He was 61. 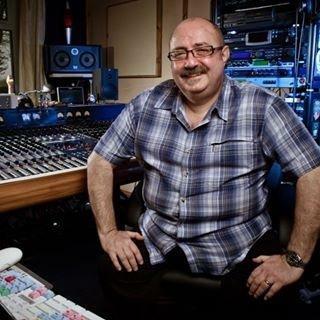 I'm so saddened to hear of the passing of the Producer Chris Tsangarides - he has been a part of my life since the 70 when he worked as tape operator on the Sabbath album Sabotage and he's worked with me on lots of other albums and stuff. What a lovely bloke he was and we always got on really well and had a great laugh too! He'll be sadly missed. RIP my friend. Tsangarides played piano and trumpet as a child and started his music career in 1974 working at Morgan Studios in London. In 1976, he began working as a sound engineer on the Judas Priest album Sad Wings of Destiny and moved on to engineer for Colosseum II and Brand X. While working with Colosseum II, he became friends with Gary Moore who gave him his first job as a producer for his solo album Back on the Streets (1978). Over the next two decades, Tsangarides worked with numerous hard rock and heavy metal artists including Thin Lizzy (Thunder and Lightning), Judas Priest (Painkiller), Bruce Dickinson (Tattooed Millionaire), Anvil (Metal on Metal), Black Sabbath, Ozzy Osbourne and many others. Outside of harder music, he worked with the Tragically Hip, Depeche Mode, Joan Armatrading, Jan Hammer and Tom Jones. By the start of the 2000's, he had opened his own Rainmaker Music which included a recording studio in London along with The Dump in Kenley, Surry and Ecology Room Studios in Kent, England. As late as 2012, he was still forming new enterprises, starting Dark Lord Records with the Strawbs' Dave Cousins.